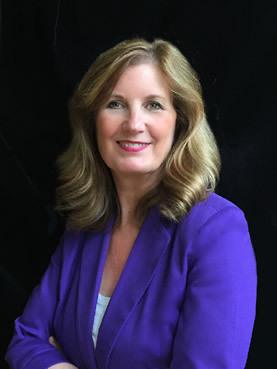 Allison Beavan holds a masters degree from Central Connecticut State University’s Music Institute where she studied conducting under Dr. Pamela Perry and Dr. Ann Howard Jones. She has been a frequent presenter of her master’s thesis on choral repertoire at music educators’ state conventions as well as at the national convention of the American Choral Directors Association. She was Soprano Assistant Conductor for Carnegie Hall under the direction of Robert Shaw, James Conlon and Andre Previn for their Choral Conductor Workshop Concert Series. Allison is well known for her role as choral director at Nauset Regional High School where she was selected Regional Teacher of the Year and was also named a Paul Harris Fellow. Her choruses have received Silver and Gold medals at dozens of state and national competitions and in Montreal as well. They performed with the Cape Cod Symphony Orchestra, Christmas Pops, Pops in the Park!, at the Massachusetts State House, Colonial Williamsburg and Disney World. During her tenure at Nauset, the select Honors Chorus performed on five different occasions in Carnegie Hall. Allison has performed locally as soprano soloist with the Chatham Chorale, Cape Cod Opera and the Cape Cod Symphony Orchestra. She maintains a private voice studio in Orleans and is a musician in residence at the First Congregational Church in Chatham. 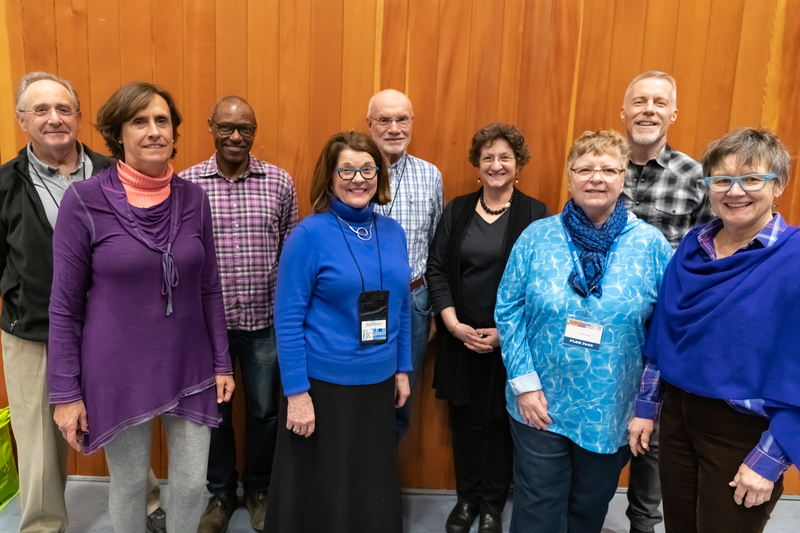 The Outer Cape Chorale Board of Trustees greets you! We hope that the Chorale brings you joy, whether you are an audience member or one of our many singers. We strive to facilitate a smooth operation and healthy organization so that our Artistic Director, Allison Beavan, can focus on leading our musical journey. Jeff Tagen, President (Provincetown) – a Chorale member since 2014, Jeff applies his corporate project management experience to help guide the activities of the Chorale and its Board. Kathleen Henry, Vice President (Milton / Truro) – Kathleen, a chorale member for 7 years, is a novelist; she has experience in non-profit fundraising and graphic design. Sue Peters, Treasurer (Wellfleet) – Sue practiced law in Washington DC, worked for an international accounting firm in Tokyo, Japan, and ran Tax and Business Service offices for American Express in Honolulu and Minneapolis before settling on the Cape where she is a broker associate for Berkshire Hathaway Cape Shores Real Estate. Sue joined the Chorale in 2002 and has been a Chamber Singer since 2003. Martha Magane, Clerk (Truro) – Martha has sung with the Outer Cape Choral since its beginning in 2002, and before that sang with The Provincetown Choral Society. She is a former Library Director at the Eastham Public Library, and now serves as a Library Trustee in Truro. She is also a member of the Chamber Singers. Curtis Balom (Provincetown) – Curtis is a lapsed engineer who works as a writer/technical writer, mostly for branding consultancies. Music was his NYC avocation when not writing. Nowadays his life has been distilled to reading and writing, practicing or listening to music, and going on runs to counter his dessert dependency. Carl Brotman (Truro) – Carl Brotman MD is a retired medical educator and former Director of the Psychoanalytic Institute of New England in Boston. He started with the Chorale as an usher at concerts before deciding to sing with the group six years ago. Carl is also a member of the Chamber Singers. Rita Burke (Truro) – Rita retired from music teaching after 35 years. Her primary instrument was the oboe. She was the recipient of the N.J. Governor’s Award because of her achievement in combining music with special services. Rita now participates in a women’s choir called Common Voices. She is also an avid djembe drummer. She has been singing with OCC since 2012. Fred Gaechter (Truro) – A member of the Chorale for 13 years and a retired Executive Director at Telcordia, Fred is a past Truro Selectman and Chairman of that Board, a Board member and immediate past President of Outer Cape Health Services, and the current President of the Truro Conservation Trust. Other than volunteerism and singing, Fred’s other passions are photography and travel. Janice Gray (Wellfleet) – a Chorale member for 12 years, Janice had a long career in classical music radio followed by 20 years in her current career in financial planning and asset management. Before joining the Outer Cape Chorale board this year, she served on the board for Outer Cape Health.